The Wisconsin Timber Rattlers will add the “Dinger Dog” to the menu at Fox Cities Stadium for the upcoming season after the specialty sausage won this year’s Fan’s Choice Food Fight contest. 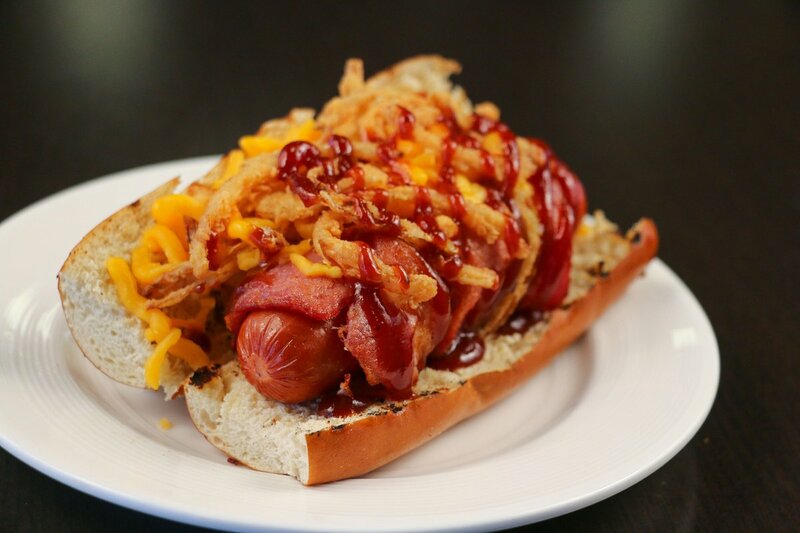 The Dinger Dog is a bacon-wrapped Cher-Make hot dog covered with nacho cheese sauce, crispy fried onion rings and barbecue sauce, all on a toasted pretzel bun. It overwhelmingly beat four other finalists (BLT Hot Dog, Beer Cheese Pretzel Burger, Buffalo Chicken Sandwich, and Poutine Hot Dog) by getting 50 percent of online votes cast in the contest. The five finalists were chosen from 75 fan submissions. The Dinger Dog will be available at the Brew City Grill on the first-base side of the concourse. This entry was posted in Midwest League, Wisconsin Timber Rattlers. Bookmark the permalink. Subscribe for free and don't miss a post!